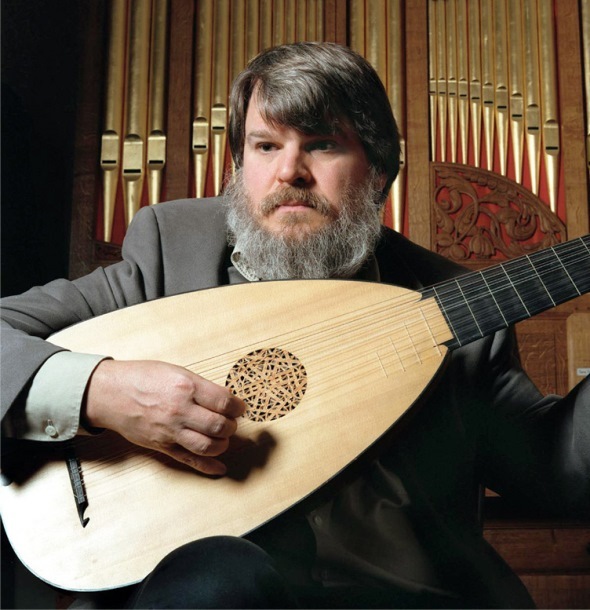 Lutenist Paul O’Dette will perform with the Newberry Consort in concerts April 5-7. 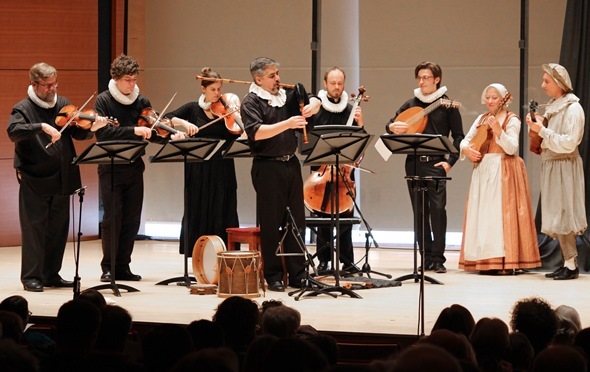 Preview: In a series of concerts, Chicago early music ensemble and virtuoso Paul O’Dette will explore 16th-century songs and dances. Musically, the French Renaissance was a bountiful era that surely would never be forgotten. Yet curiously and regrettably, says the celebrated lute virtuoso and Renaissance expert Paul O’Dette, the music of 16th-century France has pretty much tumbled into oblivion. Which only makes the more alluring O’Dette’s appearance April 5-7 with the Newberry Consort for a program devoted to – what else? — la musique française à l’époque de la Renaissance. O’Dette says the music of 16th-century France – defined as it was by the court of Francis I – was simply overshadowed by the Italian madrigal. Indeed, notes O’Dette, the French king, sensing that his royal music was taking a back seat to Italian fashion, sent emissaries to Italy to find great Italian composers and performers and bring them back to Paris at any cost. The Newberry Consort, which specializes in music from the Middle Ages and Renaissance, will focus on France. Circumspect entrepreneur that he was, this most famous of Italian transplants into the French Renaissance guarded his works very closely, says O’Dette. As De Rippe would not allow his compositions to be copied and published, a great many of them have been lost – and with them, a central component of music of the period. Though O’Dette tackles the dense brilliance of De Rippe’s lute works on a CD to be released in the fall, his immediate visit to Chicago is more in the vein of ensemble player. De Rippe is not on the bill, but the evening will abound in period arrangements of the chansons and dances that animated life in 16th-century France. Old friends: David Douglass and Ellen Hargis of the Newberry Consort with lutenist Paul O’Dette. O’Dette will be doing a co-star turn with fellow lute master Charles Weaver, both musicians performing on lute, Renaissance guitar and cittern. The Renaissance guitar – or “soprano guitar,” as O’Dette calls it – is smaller than the modern instrument and uses only four “courses” (pairs) of strings rather than the six single strings of the classical guitar. “It has no bass notes. It’s a harmonizing instrument,” says O’Dette. “It was popular at the time because it was easy to manage arrangements of songs and dances on it. The cittern uses brass and iron strings and is played with a plectrum – like a rhythm guitar in a rock band. Together on these instruments, Charles and I will be able to make quite a lot of noise in the dance music. 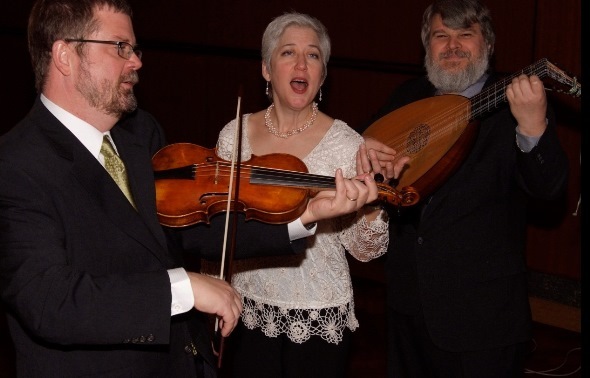 The Newberry Consort’s program, titled “Le Jardin de Mélodies: A Parisian Renaissance Entertainment,” will be played three times: April 5 at 8 p.m. at the Newberry Library, 60 W. Walton St.; April 6 at 8 p.m. at the Logan Center for the Arts, 915 E. 60th St., and April 7 at 3 p.m. at Galvin Recital Hall, 70 Arts Circle Drive, Evanston.